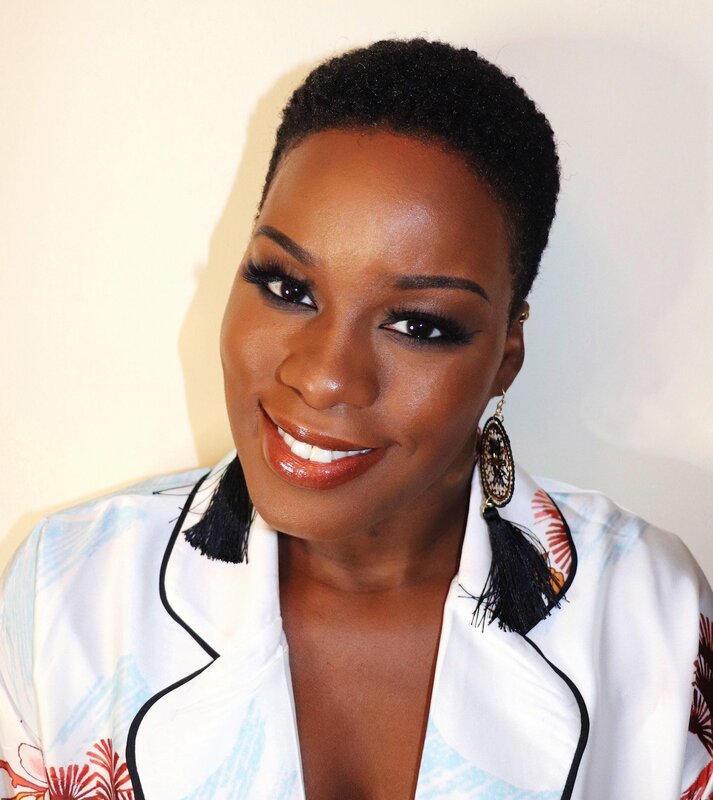 Gone are the the days of piling on layers of makeup to cover imperfections. Skin is in. As it should be since your makeup will only look as good as the skin underneath. The current trend is piling on layers of skincare to achieve the perfect glow before applying a minimal amount of foundation to finish the look. But those of us who aren’t blessed with perfect skin have to fake it until we make it. In comes the new Becca Skin Love Weightless Blur Foundation. 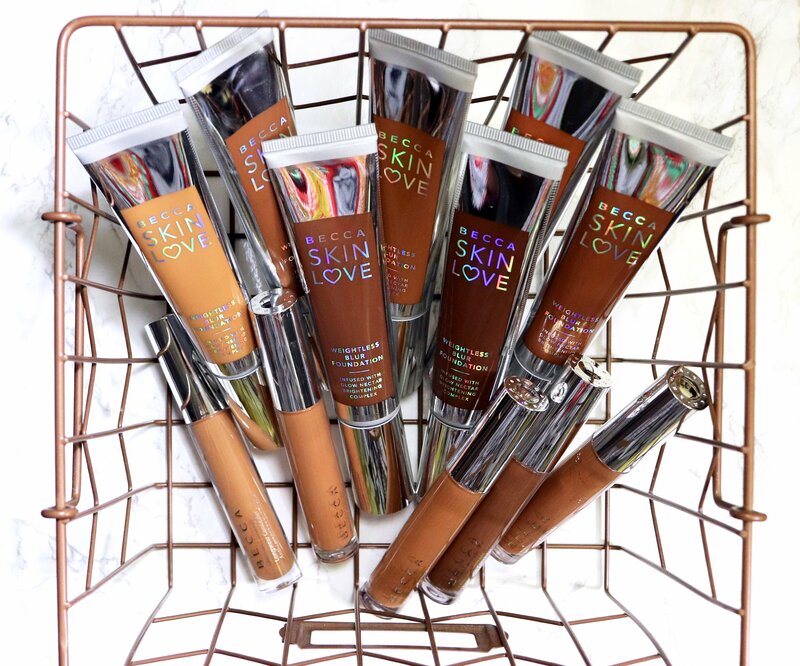 The foundation is available in 24 shades, all of which were sent for review consideration. 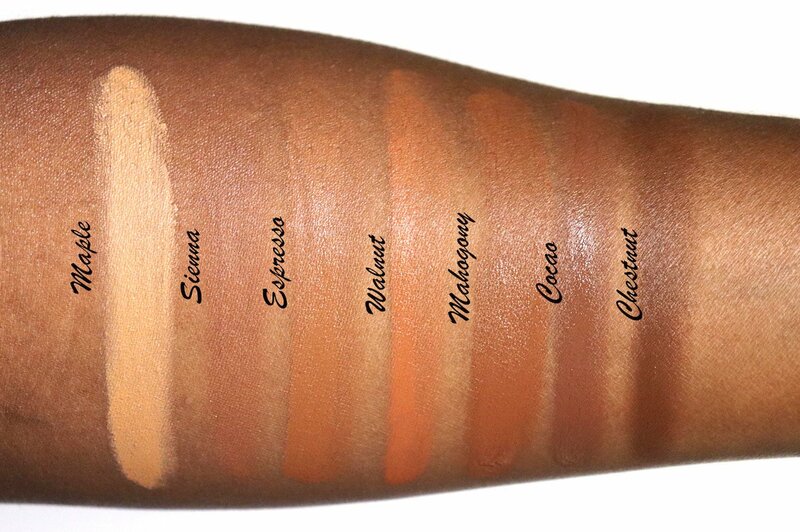 However, I’m focusing on the 7 deepest shades as shown. 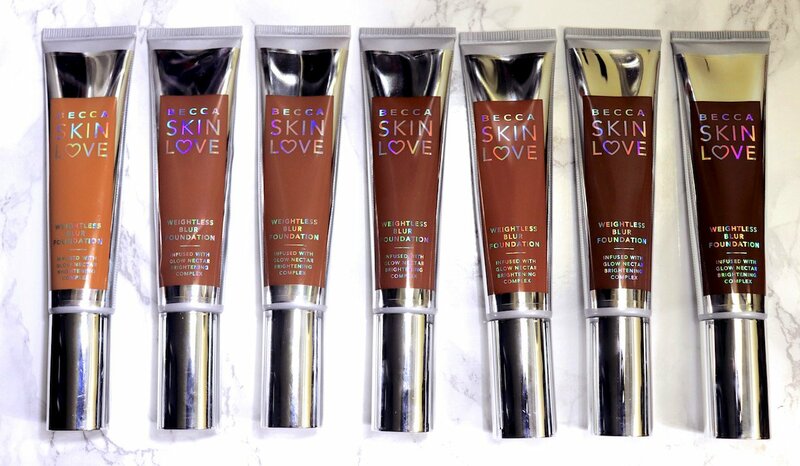 Becca Skin Love is a lightweight, medium yet buildable coverage foundation with a velvet, natural finish that mimics healthy skin. It’s enriched with Becca’s GLOW Nectar Brightening Complex. This blend of natural ingredients help brighten, hydrate and nourish skin, and includes ginger, vitamin C, cold pressed avocado and melon extract. A blurring complex helps to camouflage pores and imperfections. While flexible pigments merge with skin for a second skin finish. On a positive note, the finish is extremely natural. The skin looks polished without looking like you’re wearing a lot of makeup. On good skin days the foundation looks amazing. I have more good than bad skin days. So this is my current go to everyday foundation. I’m also wearing the new Becca Ultimate Coverage Longwear Concealer as my under eye area needs heavy duty coverage. 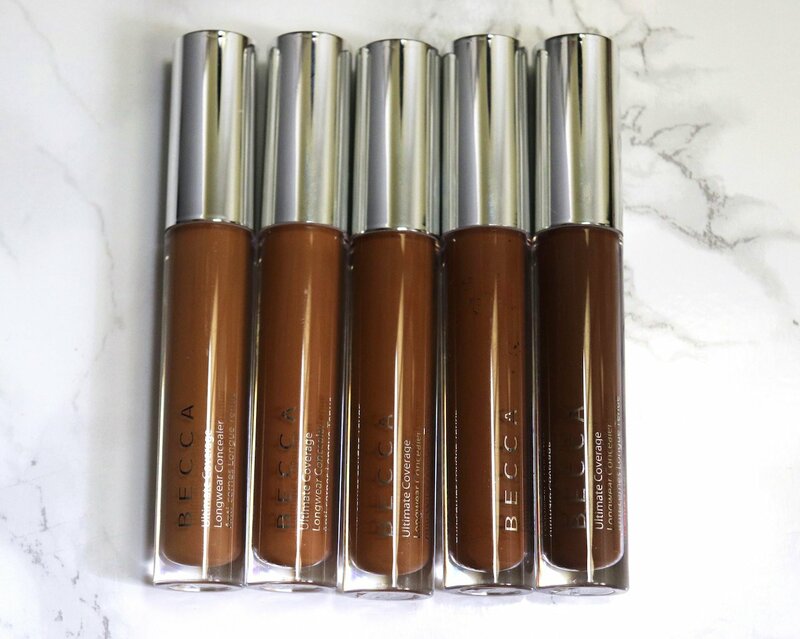 The Becca Ultimate Coverage Longwear Concealer is a water resistant, full coverage concealer that minimizes the appearance of dark circles, blemishes and discoloration. All while smoothing the look of skin’s texture. The lightweight formula helps support skin’s natural moisture balance and blends into a smooth, satiny finish. 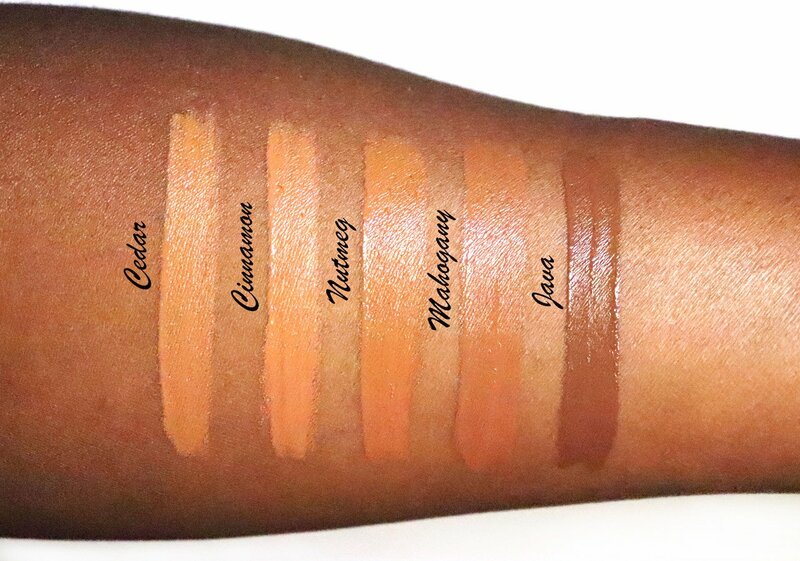 The concealer is available in 16 shades, this is the 5 deepest shades. The concealer goes on smooth and creamy and dries down to a natural finish. You only need a small amount, and a doe foot wand makes it easy to apply. I experience minimal creasing as long as I don’t apply too much. And the concealer stays put all day without fading. I use Cedar to highlight my under eye area, nose and forehead. The longwear concealer pairs perfectly with the Becca Ultimate Coverage 24HR Foundation for a full coverage, flawless face. The Becca Skin Love Weightless Blur Foundation ($44) and Ultimate Coverage Longwear Concealer ($29) are both available at Sephora.